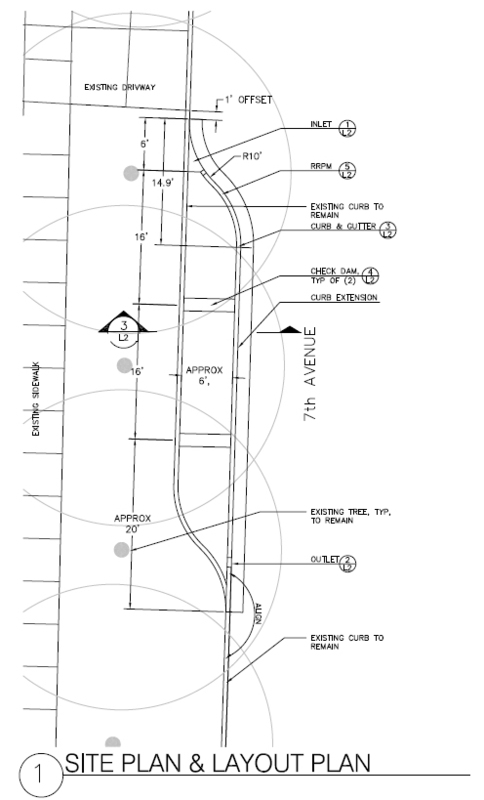 Construction will soon begin at NE 7th Ave on what will be the newest curb extension biofiltration swale in the city. 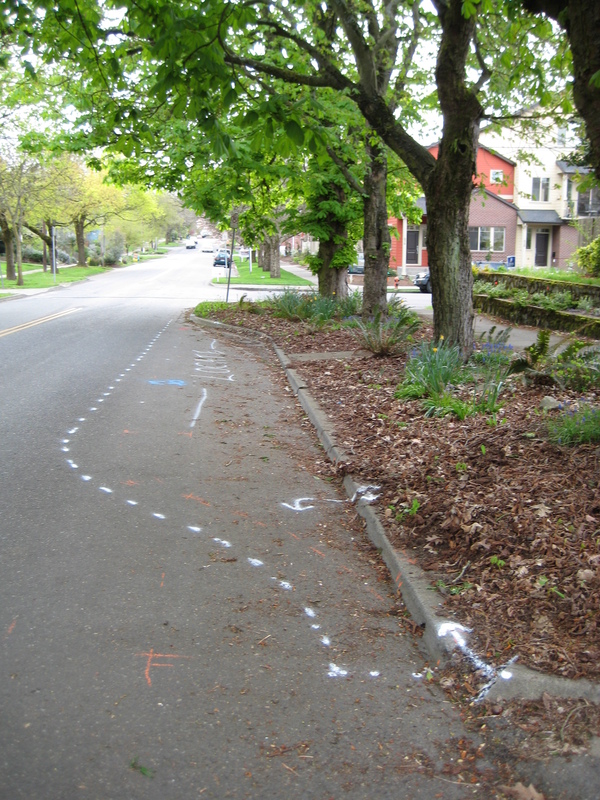 The outline of a new curb extension for the swale is now visible on the street. The swale will be constructed upstream of the current extension on street parking under mature chestnut trees. The nearest downstream storm drain is just around the corner on the north side of Fargo Street. Check out the drawing below, provided by BES, which shows the form the finished swale will take. Check back for new photos after construction begins.